Welcome back to our blog series on tough moves! In our first blog, we addressed some of the catastrophic cleanups, the unpreparedness of your new living space, and some other situations that make a tough situation even tougher. In an ideal world, everything fits perfectly into boxes, nothing is ever too heavy, and cleaning up looks like something out of a Disney movie. Yet we know that this is essentially never the case. Moving can already be stressful, and when you add some tough situations on top of everything else, it might take everything in you to not just curl up in a ball and call it a day. At Scott’s Oceana Moving, we’re a moving company you can trust, and are known throughout Virginia Beach for being the movers and packers that make the whole process go by smoothly. We’re more than happy to give you the tips and tricks to make a tough move easier—and how to prevent a stressful day to begin with. The only thing that should be tough about your move is when you say goodbye. See more about tough moving situations, and contact Scott’s Oceana Moving for a free quote! Your whole dresser has been neatly cleaned out and packed up. The mirror has been carefully placed at the bottom of the stairs. The doilies your mother-in-law insisted on making you are packed away in some box that *seems* to have disappeared. Everything is ready to go, until you get to that mahogany bed frame and deluxe king size mattress that simply cannot be moved. After several attempts and various pivots that are reminiscent of an episode of “Friends,” you recognize that this bed is going nowhere. Instead of breaking out a MacGyver-esque pulley system (and breaking your back in the process), this whole situation can be prevented. Once you realize you’re going to be moving, make a list of things that are going to be far too heavy to handle on your own. The next step is to give our Virginia Beach moving company a call. Our moving services can help transport even the heaviest of items, and what’s more, we offer furniture disassembly and reassembly! Get a quote from our team today. The thing about sickness and injury is they don’t exactly choose ideal times to hit. You could be all packed, all ready to go, when suddenly it comes over you. The despairingly terrible aches, the chills that reverberate all the way through to your soul—yeah, there’s no amount of Nyquil that’s going to make moving happen. Or maybe all was well and healthy at your home. The sun broke through after several rainy days, so you decide to spend an afternoon playing catch with your daughter. The blue skies are dotted with some perfectly puffy clouds, the vibrant green grass feels heavenly beneath your bare feet, and to top it all off, your daughter has finally mastered the perfect spiral. She throws it about eight feet to your left, and in the excitement of the moment, you decide to relive the days of your youth by diving towards it with outstretched arms. You catch it! The crowd goes wild! Except you realize there’s something funny about your arm, and how it suddenly seems to be dislocated from your body. The doctor advises against any heavy lifting for the next six weeks, which might be a problem for that move coming up in eight days. Whatever the injury or illness that comes up may be, it can be frustrating and frightening to have an impending move looming on the horizon. And truly, you can’t always prevent illness or injury. If an emergency comes up, give our movers and packers a call. 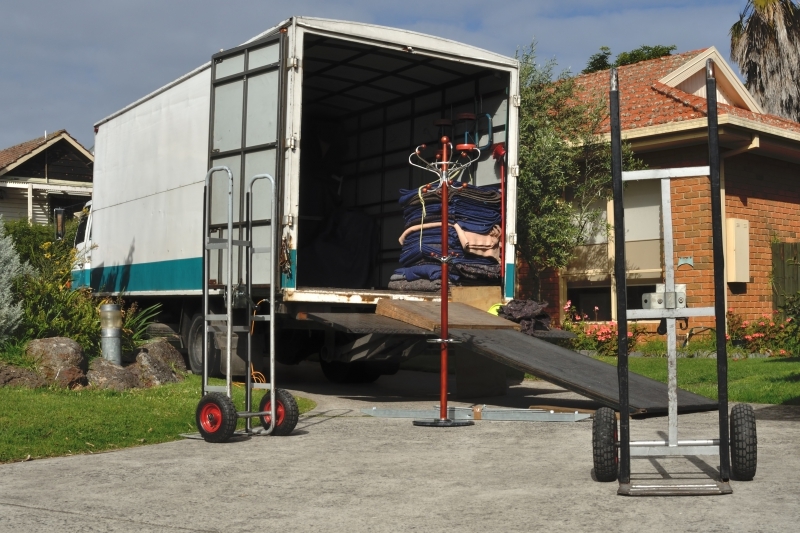 We have done some emergency moving in the past, and our moving services could help you in a crunch. You can rely on Scott’s Oceana Moving to make any moving situation easier. Moving is already stressful, but when you’re moving across the state or even across the country, this can certainly be an adventure. And while we’d love to think of a move as a road trip, there’s so much labor involved—not to mention the heavily-involved process of constantly checking to make sure none of your belongings have flown off the back of the truck. But you could get entirely Kerouac on the situation and make it into the trip of the century. You could plan out destinations! Roadside attractions! National parks and Route 66 and the embodiment of the American Dream! All you have to do is work with Scott’s Oceana Moving for long distance moving. This frees up your schedule and responsibilities—we’ll take care of the moving, you take care of seeing all the sights along the way. This is the house that you will never forget. This is where your friends came over for a spaghetti dinner and laughed and crowded around your tiny table. The place where you danced while doing dishes, the living room where you and the kids built a fort that stayed up for a whole week—your home has served you and your family so well, and it can be incredibly challenging to say goodbye. This type of move can be emotional, and one of the toughest of them all. Leaving a home can feel like leaving memories and comfort behind, but you can frame this new chapter in a more positive way. If you have kids, have a movie night where you watch “Inside Out” and reflect on what moving might feel like (and how to cope). Take pictures—not just before moving, but consistently as well—of moments that stand out in your home, or of rooms where those memories happened, and turn them into a photo album or scrapbook. As another idea, make a list of all the things you want to do and try once you’re in all settled in your new home. This creates things to look forward to, and can definitely ease the process of moving. It might seem strange to rely on a moving crew during this emotional time, but Scott’s Oceana Moving can make a difference in saying goodbye. With our moving services, we can essentially take care of your entire move for you, giving you plenty of time to spend some last moments with the house that became your home. No matter what the tough situation may entail, each move has the same solution: work with Scott’s Oceana Moving! From commercial moving to long distance moving and everything in between, our moving services are here to make sure your move goes by smoothly. There’s a reason why people choose Scott’s Oceana Moving again and again—find out for yourself how our moving company makes the difference.